Co-working space is all about fun & collaboration and this time we do so with an indoor pop-up shop by La Plant. Research has shown that being surrounded by plants can have a positive impact on your wellbeing. Today, many of us live and work in the city and are less exposed to the plants than a person living further away from the urbanised. This is why La Plant exist, to add that touch of nature to your home and office space. 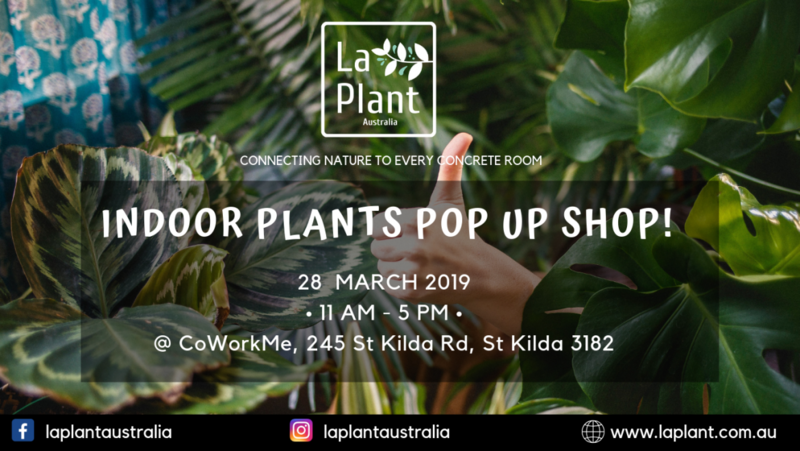 La Plant is an indoor plant store located at Melbourne CBD that organise indoor plant pop up shops at various workspaces. This time they come to CoWork Me to offer all members a plant-tastic experience to plant loving members.